When rain, stormwater runoffs and municipal wastewater flow together in a combined sewer channel, strong precipitations can lead to critical situations: Wastewater treatment plants are overloaded and large amounts of polluted water run into ecologically sensible lakes and rivers. Overflow structures offer a solution for this problem. With the Combined Sewer Overflow (CSO) chamber and the Amiscreen, Amiblu provides two particularly reliable and efficient options. The Amiblu Combined Sewer Overflow systems separate suspended solids from the wastewater very efficiently and direct them to the wastewater treatment plant, while the cleaned part of the water is led into the receiving water course. 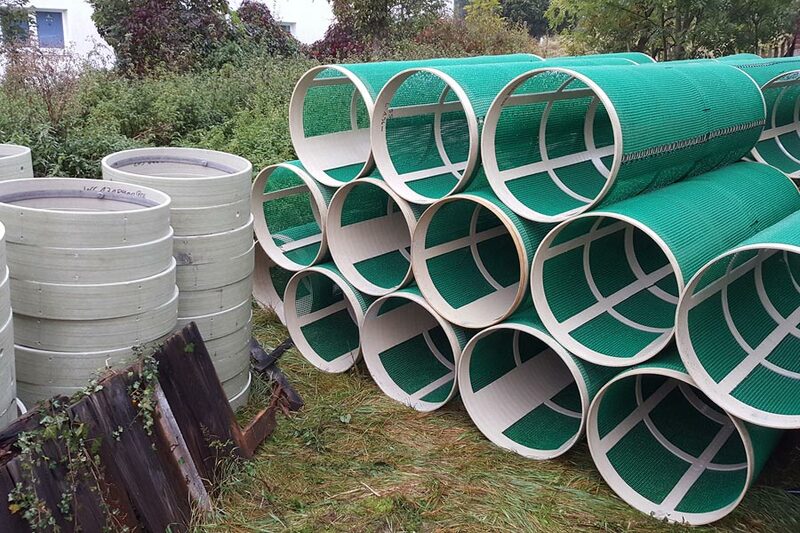 Patented modular solution for filtering out solids and debris from stormwater, storage function included. Patented modular stormwater overflow system for combined sewers with low-maintenance solids separation and storage function.